Olive oil: Several studies have revealed that mono-unsaturated fats found in olive oil helps keep heart diseases and cancer at bay. Apart from this, antioxidant-like polyphenols help in playing a pivotal role in warding off several age-related disorders. Hence olive oil could be used in daily cooking to add years to your youth. It is also used in several skin care formulations. Massaging skin regularly with olive oil, helps in keeping it supple and young. Cocoa: A study published in the Journal of Nutrition reveals that women who consumed anti-oxidant rich brand of hot cocoa on a continuous-basis for three months, developed smoother and better hydrated skin, that was less prone to sunburn. This fact is considered to be attributed due to the presence of flavanols that offer protection from the harmful ultraviolet rays of the sun. Green Tea: Several studies have proven the anti-inflammatory, anti-ageing, and would-healing effects of green tea on the skin, which needs no explanation. Soyabean: It is a well-known fact that dietary soya provides nutritional and health benefits. The isoflavones present in soyabean, possess phytoestrogenic properties which helps in maintaining skin health of menopausal women. Specific protein components in soyabean help in reducing pigmentation, while also inhibiting ultraviolet light-induced skin cancer and photo-ageing. 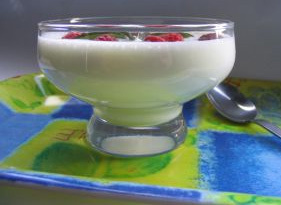 Yogurt: Although there are no confirmed studies that links yogurt with staying young, one cannot deny the fact that yogurt, being a rich source of calcium, and significantly reducing osteoporosis risk, and helps deal with intestinal diseases, which gets more common with age.